Why are some people calling our Umara Z-Trail “The Ultimate Sandal 2.0”? At then end of a day of hiking, pull off your heavy, stiff, smelly boots and slip into the freedom, comfort, and flexibility of the Z-Trail… they’re so light you’ll barely notice them on your feet (and will barely tell they were in your bag!). #FeelRealFun — do whatever you like in your Z-Trail. I like to think that the Z-Trail is about protection and comfort first, and the Z-Trek is about connection first. If I’ve been wearing my Z-Trails around for a while, enjoying the comfort, when I then put on the Z-Trek, I think, “Oh, right, I can FEEL things again!” So I go back and forth between them, depending on how much I want to feel. The reviews for the Z-Trail have been AMAZING. Pretty much everyone says that they’re the best sandal they’ve worn. 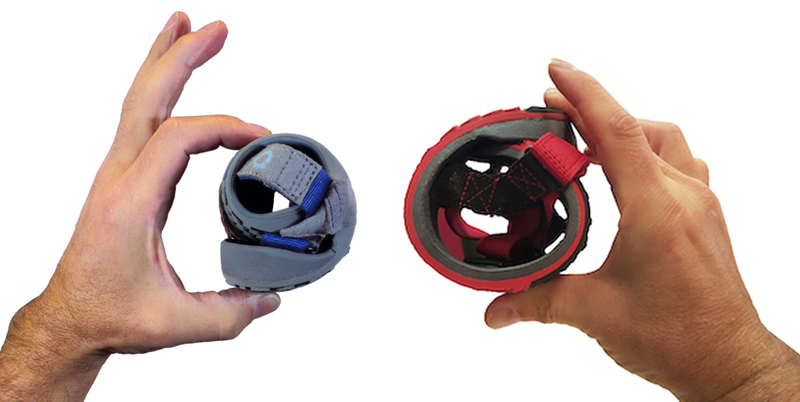 Heel cup — keeps your heel in place, helps keep out debris. Because of the TrailFoam™ in the Z-Trail, these need a bit of extra attention. Do not leave Z-Trail in hot cars or exposed to intense direct sun. 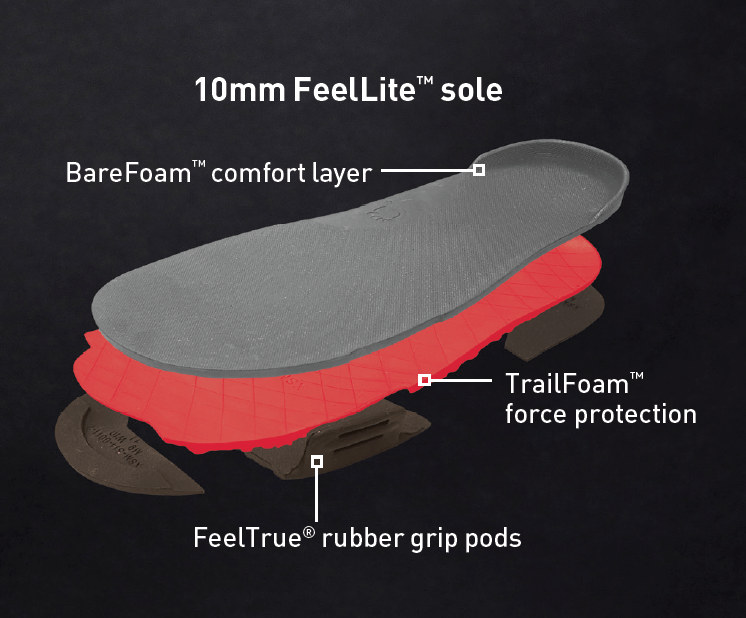 This could cause the TrailFoam™ to deform and is not covered by our warranty. By following the instructions below, you’ll get the correct fit for your Umara sandals. SPECIAL NOTE for Z-Trek owners: You MAY be a different size in the Z-Trail than the Z-Trek. The Z-Treks ran a TINY bit longer than true size. The Z-Trails are typically about 4mm shorter. Make a mark on the paper at the furthest point away from the wall… this will either be just in front of your big toe or second toe. Note: Check your Printer or Browser settings to make sure you print the templates at Actual Size or 100% Scale. Verify by using a ruler to compare to the scale marking on the template.